Color Factory is a 12,000 sq. ft. two-story pop-up exhibit in downtown San Francisco, celebrating color, material, and its local and global featured artists. 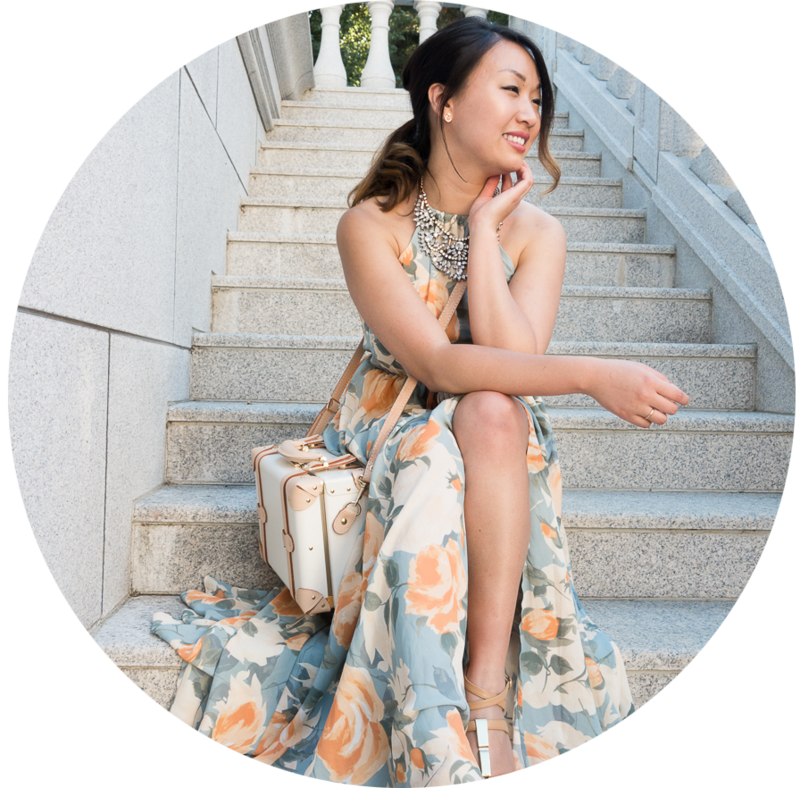 It opened its doors in early August and will be in San Francisco until the end of September. 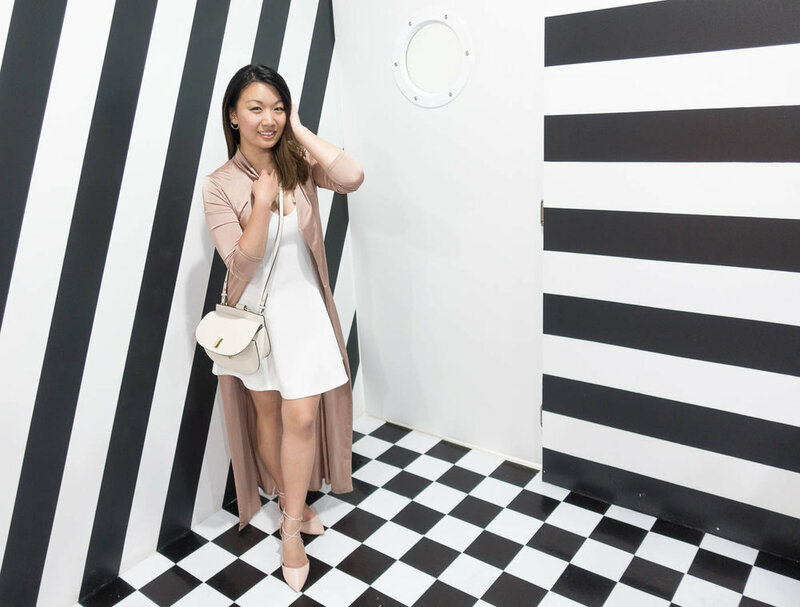 The exhibit is now one of the hottest Instagram hot spots in the Bay Area and is definitely a fun and memorable experience! Rainbow Staircase: connects the 2 floors. 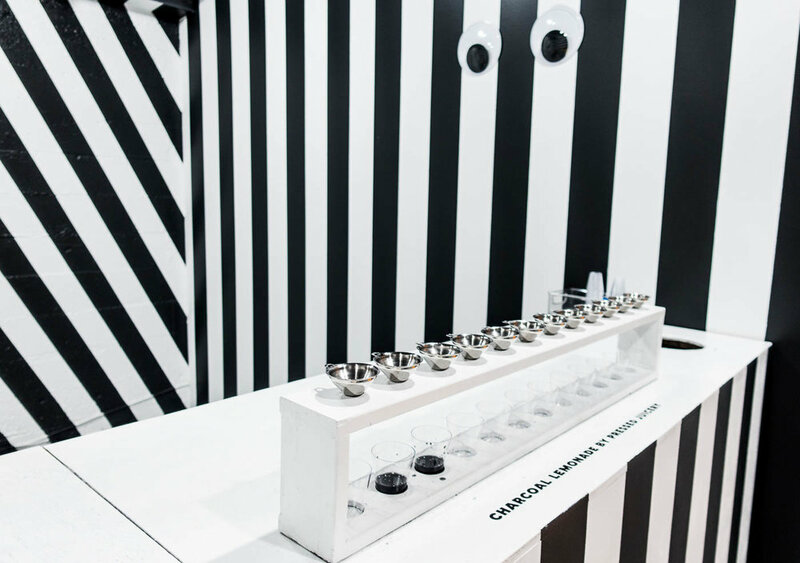 Black & White Laboratory: serves charcoal lemonade. Chantal Guillon Macaron Carousel: connected to the Black & White Lab and each visitor gets a macaron! Confetti Room: 4 giant machines sprinkle confetti from the ceiling. Perfect place to make confetti snow angels. Swedish Artist Jacob Dahlgren's Ribbon Room: 10,000 brightly hued ribbons are strung from the ceiling. 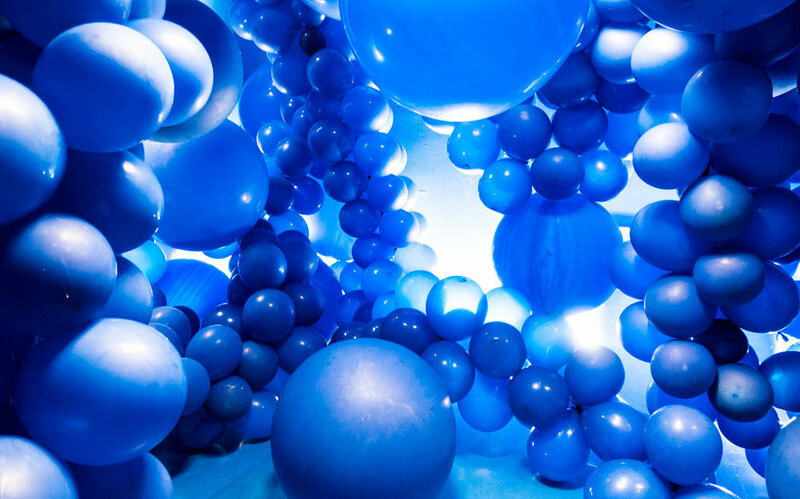 Balloon Bath by Geronimo Ballons: : a blue room full of giant blue balloons. 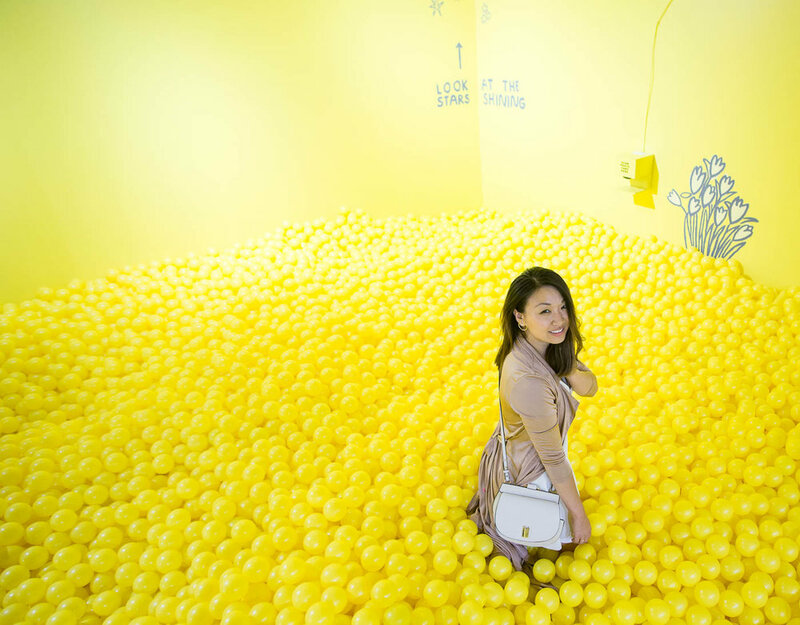 Giant Yellow Ball Pit: filled with 207K plastic yellow balls to dive right into. British artist Tom Stayte’s Lavender #Selfie Installation: snap a photo and tag #TomStayte to get your photo printed on the thermal printer! The most delightful surprise at the end of our journey came in the form of a Color Factory Neighborhood Map that guides you to discovering additional surprises after you've left the exhibit itself - including secret menu items at nearby dessert shops, a technicolor Color Factory mani special at Sutter Nails, colorful murals, and more! 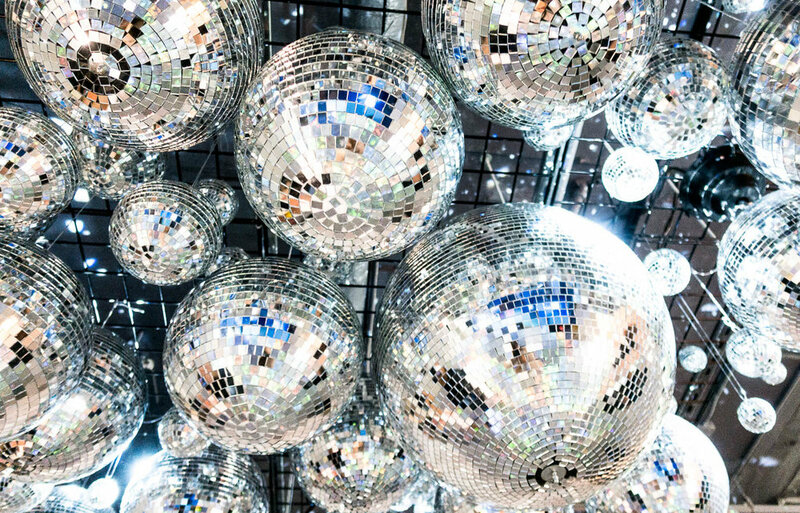 Have you guys had a chance to visit the Color Factory? 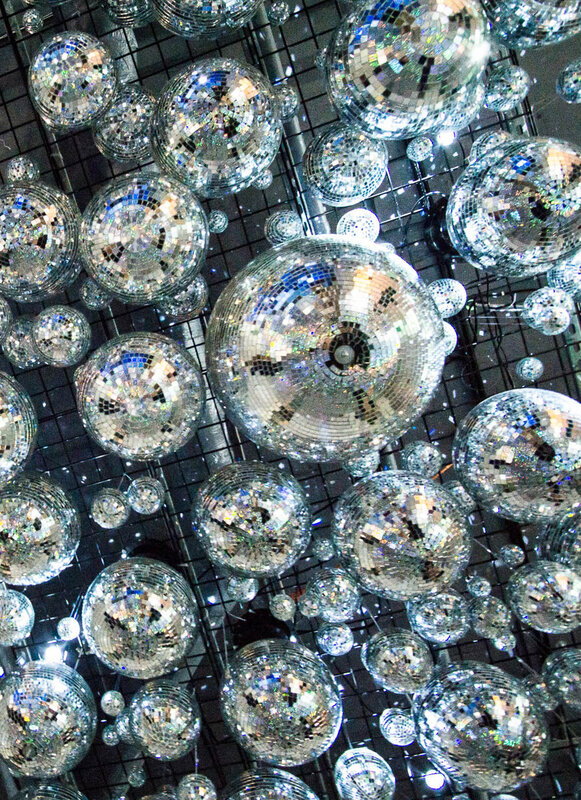 If so, what was your most favorite installation?